Since 1966, Carson City, Nevada, residents have turned to Tahoe Fracture & Orthopedic Medical Clinic for hip replacement surgery and other orthopedic services. Our multidisciplinary team specializes in a variety of different state-of-the-art treatments and has extensive experience helping area residents overcome chronic hip pain and the associated symptoms. 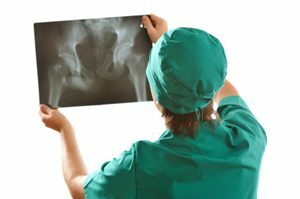 If the time has come to undergo a partial or total hip replacement, you have access to some of the most skilled and highly regarded orthopedic surgeons right here in Carson City. Hip replacement is extremely common because the hip has a tendency to succumb to years of wear and tear. Over time, the cartilage that lines and protects this ball and socket joint can deteriorate, which can lead to joint inflammation, diminished mobility, and a significant impact on a person’s quality of life. While conservative, non-surgical treatment is often highly effective, for a select segment of the population, hip replacement surgery is a prudent treatment approach to restore hip flexibility and alleviate discomfort. We take a team approach to the treatment and recovery of our patients, which means our physicians, surgeons, and rehabilitation experts work closely together to provide the best possible care. At Tahoe Fracture & Orthopedic Medical Clinic, we’re focused on relieving your pain, restoring your function, and returning your life. To learn more about the hip replacement treatment we offer to residents of Carson City, NV, and all surrounding communities, or to receive information on any of our other orthopedic services, contact us today and ask to schedule a consultation. We are proud of our proven track record of helping our neighbors overcome a variety of musculoskeletal, degenerative, and sports-related disorders.